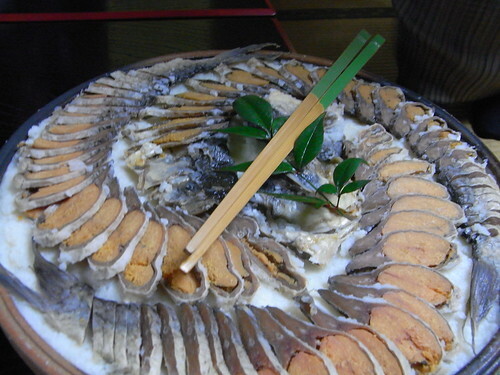 Last year, I was in Nagahama, Shiga for Funazushi for the first time in my life! 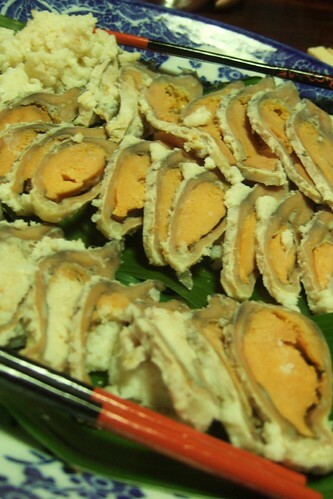 This year, we had a special opportunity to sample two very good, but quite different forms of the original sushi. 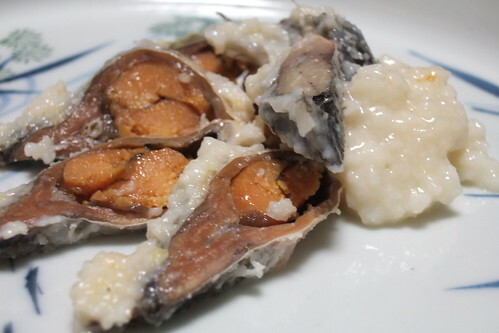 Funazushi has been made of fresh water fish from Lake Biwa since at least the 8th century. Also, we were amazed when we got to watch how a veteran okami at Kitashina prepared her catch of the day for a three year nap in a fermenter! So, next week, I am going to put together a couple of posts about food and sake from a big circle we made around Lake Biwa. Until next week… Oh, and don’t miss SOTW on Sunday!